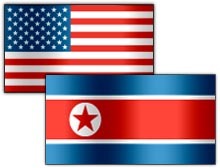 WASHINGTON (CNN) -- Pentagon officials say they are "highly skeptical" of claims by North Korea that it successfully launched a satellite into space, but one U.S. intelligence official tells CNN, "We can't rule that out." On Monday, North Korea fired a missile that crossed over Japanese territory, alarming Washington and Tokyo. Both U.S. and Japanese officials said the device was a Taepo Dong medium-range ballistic missile capable of carrying nuclear weapons. But on Friday, North Korea's official Korean Central New Agency accused the United States and Japan of making an undue "fuss" and said what was fired Monday was a three-stage rocket that successfully sent a satellite into orbit. U.S. experts are divided about whether it would even be possible for a Taepo Dong missile to put an object into orbit. A senior Pentagon official tells CNN that the U.S. Space Command in Colorado -- which has the capability to track objects in space as small as a softball -- has not detected any new space objects. And an intelligence source also tells CNN that the United States has seen no radio transmissions that would indicate communications between North Korea and any satellite. However, military officials are double-checking information before stating publicly that they believe no satellite was launched. Japanese Prime Minister Keizo Obuchi also said he doubted the rocket carried a satellite. On Thursday, Japan and South Korea placed their forces on increased alert and pledged stronger military cooperation, saying they believed North Korea might be preparing a second missile test. However, U.S. intelligence officials tell CNN that they have seen no indications that North Korea is preparing a second test. Military Affairs Correspondent Jamie McIntyre contributed to this report.